Need an end of the year lesson??? 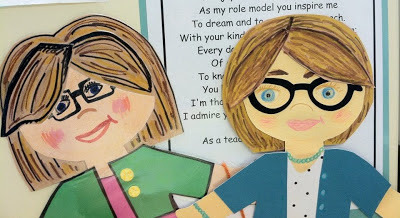 Every year for the past several years, we've had our students create "paper doll" versions of themselves at the end of the year. It's always the time of year when you need something to do and aren't quite sure what to fill the time with. A few years ago, we saw another teacher (Shout out to Mrs. Brewer!) 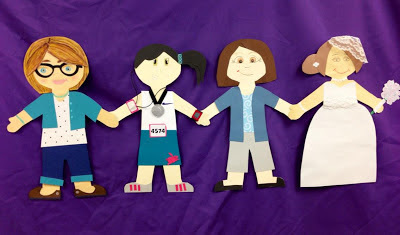 creating paper dolls with her team. Our team decided to borrow the idea and now it has evolved into a time honored team tradition! We begin by reading a book to the students. We've read Is there Really a Human Race? by Jamie Lee Curtis in the past. This book celebrates humanity and all of our differences and serves as a great kick start to creating our dolls. But this year, we decided we wanted to make the dolls more meaningful. My ATP (Amazing Teaching Partner) Chelsea, came up with idea to read the book How Full is your Bucket? by Tom Rath. We stressed to the students that after creating our dolls we were going to sign them with meaningful messages that would be a drop in someone else's bucket. The kids took this heart as they created and then signed the back of each other's paper dolls! It was truly a touching moment to see the students writing "warm fuzzies" to their fellow classmates. I also got some very nice compliments on my paper doll as well. For the activity you just need some multicultural paper and construction or scrapbook paper. We also have a "doll" template we have students glue to the back so they have a white area for signatures/comments. We allowed our students to bring in additional materials from home for the project. We laminated the finalized dolls after the students had the class and teachers sign their dolls. Check our our team dolls! you have carried out a excellent paintings. The designs that you have achieved on this weblog is honestly lovely. i am able to in reality try this album. it's far very appealing and smooth to make. thanks so much for this educational. keep sharing such helpful thoughts.